When it comes to lounge culture there is a man who really does epitomize the culture through and through. Don Draper. The characteristics of Don Draper is that he that guy that looks great in formal wear, business wear and casual wear. He has great taste in clothes and has great taste in women, he has money, is successful, confident, well groomed and looks a million bucks. Even the women he goes for have that certain x-factor. However, when he broke up with Betty, and thank God he did, we discovered his taste in furniture is somewhat ordinary. The bachelor pad he had in New York city was kind of disappointing, whilst fairly spacious it had that kind of dark and man brooding cave thing going on, but it suited his needs and let’s face it was an apartment that was fully furnished not something you chose. In season five he married Meagan and moved into a sweet Manhattan pad, thanks to Megan’s good taste of course. Although, Meagan to me is a bit of a disappointing scenario that I don’t think Don is the kinda guy who should be married. He is a bachelor and just needs to accept that fact. I think Don only married Meagan because one part of his life he cannnot handle well is his kids. He simply cant relate to them, and needs a woman to take care of that part. As a man he is not the kind of guy is gonna be under the thumb from the little woman. Sure, Betty tried and failed at the end of the day. Don rebelled and truly showed his real character and real value as an independent man. 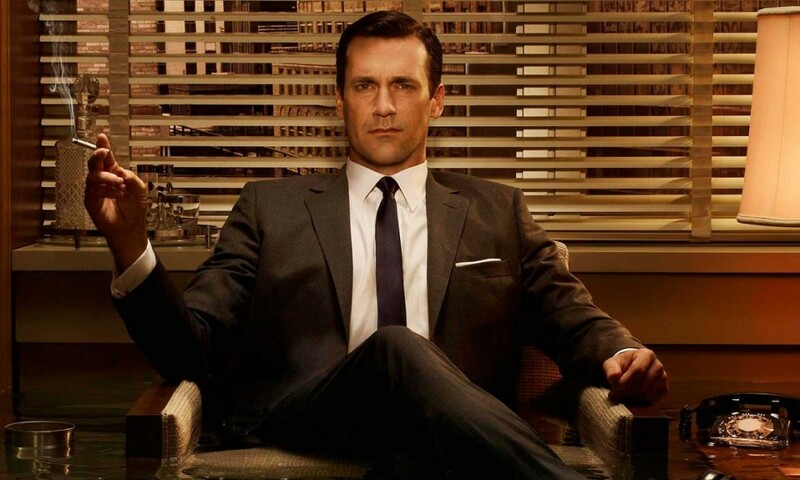 Don Draper is the epitome of lounge, he is cool, classy, intelligent, well off and a true independent and decisive man.